Learn Civics with Photos of the 50 States! What is Texas's state flower? 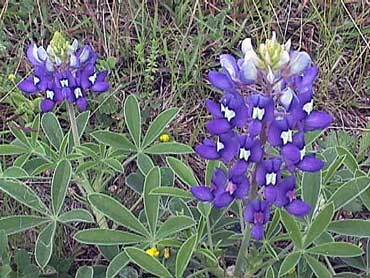 Texas's state flower is the bluebonnet. Bluebonnets grow to be one foot tall. The flowers on the bluebonnets bloom every spring. It is a custom for Texans to take family photos among bluebonnets. What is Texas's state bird? 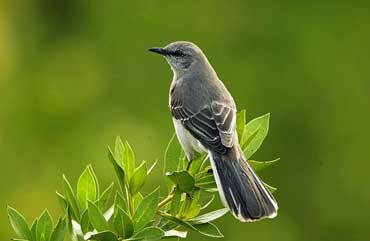 Texas's state bird is the mockingbird. Mocking birds mimick the sounds of other birds. What is Texas's state tree? 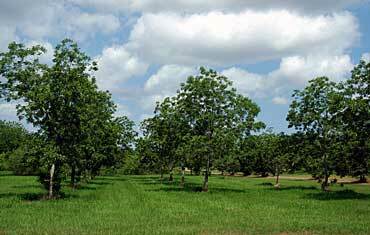 Texas's state tree is the pecan tree. Pecan nuts grow on the trees. Pecans are eaten fresh or used to make pies and candies. Wood from pecan trees is used to make furniture and hardwood flooring. Copyrights to the pictures and photos on this civics website belong to individual photographers. We have purchased the rights to use them. Do not copy the pictures/photos on this site. Permission is granted to copy any of the worksheets for classroom use. Permission is granted to link to any page of this website. Contact Christina Niven, Web Developer, at christina@elcivics.com. Please send corrections, comments, greetings, and requests for new photo tours, state lessons, and civics units. Copyright © Christina Niven, 2007.